Détails : Adidas Originals Women's SST Track Top Jacket Night Cargo Green DH3166 NEW! Adidas Originals Women's SST Track Top Jacket Night Cargo Green DH3166 NEW! 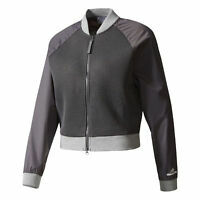 Adidas X Stella McCartney Women's Barricade Tennis Jacket Granite BK7959 NEW! Adidas Tiger Camo Track Jacket Night Cargo Women's Track Top M64463 NEW! Il reste 399 objets. Veuillez saisir un nombre inférieur ou égal à 399.